The Young Professionals Networking Luncheon provides a platform for professional growth, skill development, sharing ideas and networking. The luncheon also features a panel discussion with leaders and field area experts. 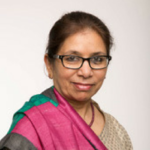 Dr. Saleha Khumawala is Robert Grinaker Professor of Accounting and Founding Director, Nonprofit Management and Microfinance at Bauer College of Business, University of Houston. She is a CPA, CGMA, and obtained her Ph.D. from the University of North Carolina at Chapel Hill. She teaches and does research in the field of Government and NonProfit Accounting, has widely published in prestigious journals and made numerous presentations at national and international conferences. Dr. Khumawala has developed and conducted a very successful Study Abroad India Program for students since the summer of 2002. She is also the coauthor with Michael Granof (UT-Austin) of Government and Not-for-Profit Accounting: Concepts and Practices, 6th edition, John Wiley & Sons and Governmental Accounting: Fundamental Principles (coauthored with Eric Berman) for the Bureau of National Affairs (BNA, Tax & Accounting), Accounting Policy & Practice Portfolio Series. She is an active member of the American Accounting Association and served as the President of the Government and NonProfit Section in 2008. Dr. Sherif Zaafran is an American-Egyptian Muslim born in Paris, France. He lived abroad with his family for many years until they finally settled here in Houston, TX in 1982. Dr. Zaafran finished school in Sugar Land, TX and then completed his undergraduate and medical degrees from the University of Texas. Dr. Zaafran is happily married for 15+ years, and has been blessed with 3 beautiful children. He is a physician, practicing anesthesiology and is president of the Southwest division of his group. 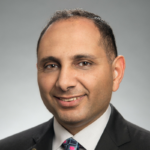 Dr. Zaafran is particularly involved in the Texas Medical Association and the Texas Society of Anesthesiologists where he is dedicated to bringing about change to the quality of care that is given to patients across Texas. His level of commitment to the community is also apparent in his service on the Arab-American Cultural Center Board and former president of the Egyptian-American Society here in Houston. Dr. Zaafran is a man of devout faith, service, and commitment.